I am learning that one of the things you do as a photographer is chase the light, particularly the golden hours around sunrise and sunset. I know a man who specializes in photographing sunrises. He regularly gets up at or before 4 am to check the weather, make coffee and decide if it's worth a drive to the spots that he knows will yield stunning sunrise photos. I am not there yet, particularly with that getting up before 4 am business. However, I did find myself getting up and out before 7:30 am on a Sunday morning to take pictures of eagles. I feel that this is sort of the same thing. Finding eagles is easy around here as eagles overwinter by the Oahe Dam about six miles out of town, attracted by the open water and cottonwood trees. Eagles are large, photogenic birds that unlike their smaller cousins don't flit. Generally if you are quiet and still they will be as well until something calls them to take flight. In populated areas they move if there is too much human activity below them. But sometimes they move for reasons known only to them. Hunger perhaps. Or maybe they want a different view. One of the common roosting sites at the Dam is viewable by car which serves as a blind of sorts as cars don't seem to disturb eagles. Even though finding eagles here is easy photographing them is not because this vantage point faces west. A west facing vantage point means the light is behind the eagles in the afternoon golden hour. This does not make for great photos. In fact it doesn't make for good photos or even ok photos. To photograph these eagles you have to go out in the morning. I used suncalc.org to verify that early morning sun would bathe them in a golden glow. The sun rose slightly to their south so first rays of morning light would illuminate them on one side which would mean shadows. But it was golden light and besides I had no choice. I arrived at the vantage point in the cold gray of civil twilight. The moon was brilliant, almost full. I spotted three eagles, one of them well within range of my zoom. Huzzah! I might get an extreme close up. I rolled down the window and set up the camera, attaching it to a Gorilla tripod and perching the tripod on the door. Snuggled under my down coat with an insulated tumbler of hot tea, I was ready. It had been a few months since I was outside to watch the sunrise and I can't remember the last time I did so during the winter. First, the sky changes from gray to a light blue. Then, the tops of the trees blush with the pink light. The trees glow as the brightening light slips towards the ground and the blue in the sky deepens, steadily, silently until all of a sudden, the sun is up and everything is illuminated. Just before this solar culmination, the eagle that was nearest to me flew to other eagles a little further away. The other eagles were within range of my zoom but they weren't well within range. No extreme close ups, sadly. That eagle shortly thereafter moved on. I spent the next hour or so snapping away. As usual I got a lot of duds but I did have a few highlights. The first was I got a nice series of two eagles joining the eagles in the not so close tree. Even though I didn't get the extreme close up you can see the open beaks as they vocalized to each other. Also, two of the eagles seemed to enjoy being in close physical contact. They stayed right next to each other. It was kind of cute. Eventually I decided to call it good and slowly and I hope quietly (my next car is going to be electric for precisely these kinds of moments) I drove away. I spied more eagles flying as I left and of course I had to follow. It wasn't a great shot what with branches in the way and the eagle not facing me, but I did get my extreme close up. I cropped this one to focus in on the eagle but I think the light came out pretty good. These two eagles really liked each other. When I reread my post below my eyes glazed over from the abundance technical details about background defocus mode. Overall, my post was rather dense and uninteresting. Lesson learned. I'll keep the technical travails about which button to push when to a minimum. Suffice it to say that I don't fully understand my camera yet so occasionally it will do something and I don't know why. For example, I have managed to change the display on the screen so after I take a photo it flashes not only the photo but also all the info like f stops, ISO, etc. And once I set the display screen so that when I touched it, the camera took a photo. I have no idea how I turned that on but it's mysteriously off, for now at least. Somewhere in the advanced user's guide I'm sure it tells me about these things. I don't know when I will get to it because the advanced users guide comes on a CD and I don't have a CD reader. What I do feel I am learning, a little, is depth of field. The two photos below were taken within 5 minutes of each other from the same vantage point. The top one has an f/4 aperture which I set and an ISO of 200 which I did not. The bottom has an aperture of f/2.8 with an ISO of 100. Both of these have been auto adjusted by Google photos. The zoom was the same. Composition aside (I'm still learning) I don't know if the depth of field makes that much of a difference in these two pictures. 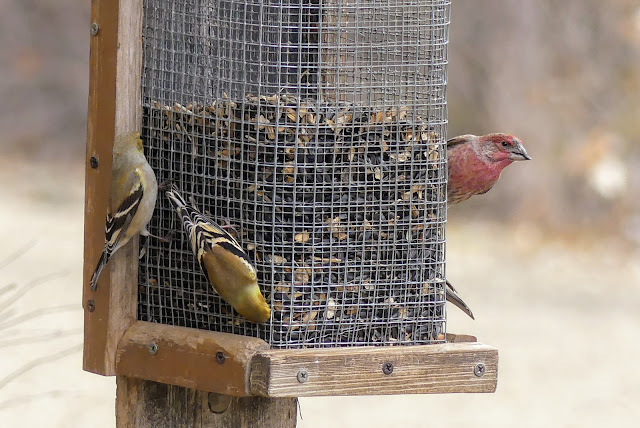 Both have sufficiently blurry backgrounds that do not distract from the birds. The bright spot in the bottom photo (f/2.8) that looks like a corona behind the bird's head. I see this as a distraction not because of the detail but because it's, well, a corona behind the bird's head. I can see why Graham recommended setting the camera to a background defocus mode of f/4. You can still get respectably blurry backgrounds and the ability to direct the focal point of your photos. 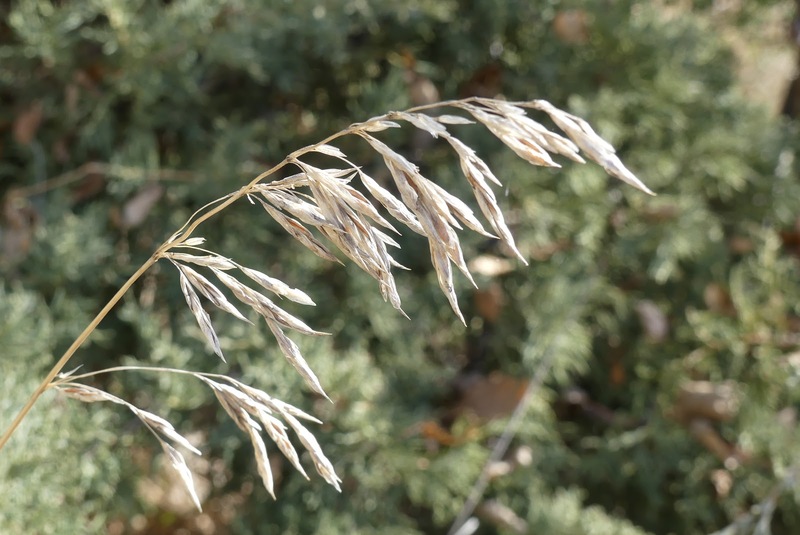 The picture of grass panicles below has a aperture of 4 and a nice blurry background. It helps there is a good color contrast. 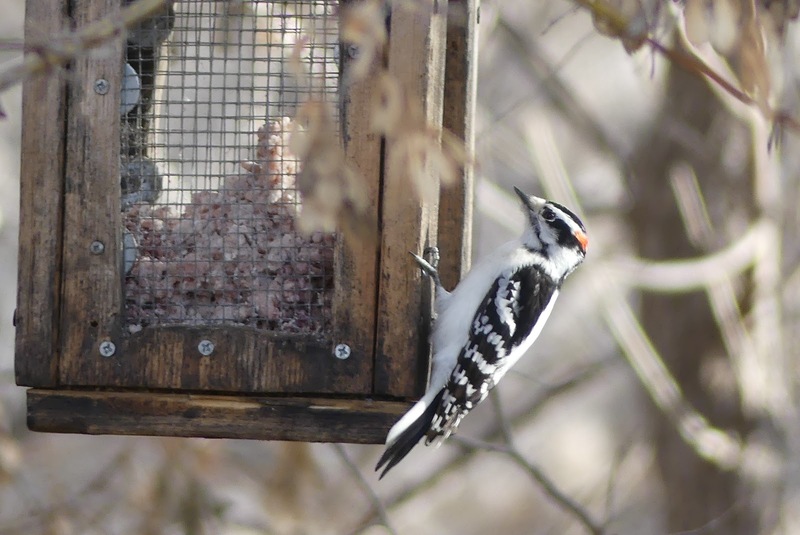 The downy woodpecker is my best photo so far. I wish I had gotten the woodpecker's eye on the intersection of the thirds but this is a good start. While I am a very inexperienced photographer I am not a complete newbie. Years ago I saw a Powerpoint on how to take good outdoor photos that talked about the rule of thirds and depth of field when composing your photos. I've only had very very basic cameras so depth of field was something that I had no control over but I've always installed gridlines on the viewfinder if that camera had that feature. I'm somewhat proficient at rule of thirds so with this new camera I turned my attention to depth of field. I am using a series by Graham Houghton on You Tube to guide my learning. He recommends you start out in intelligent auto or IA mode which sounded good to me. The first subject he tackled after setting up the camera is understanding how to set up background defocus mode and change the focal point of your picture. Knowing how to do this will help you change your depth of field in the IA mode. In peeking ahead at the topics I think he covers this later on in the series when you are in manual mode but the idea of manual mode makes me feel faint right now. One of the disadvantages of being self taught using a You Tube video is that you can't ask questions when you have done something wrong. You just have to keep plinking away and reviewing the video. For example after I set the background defocus mode to an aperture of 4 (which doesn't really defocus the background but allows you to change your focal point) I missed the instruction on how to move the focal point by pressing the grid icon to the left of the Menu/Set button after you engage the background defocus mode. If you fail to press this button (or fail to engage background defocus mode first) and try to move the focal point square on the screen the camera beeps at you. Another fun fail: if you don't engage the background defocus mode OR if you don't press the button on the left of the Menu, AND if you try to move the focal point square using the Menu/Set controls without first pressing the grid icon you will find yourself changing the white balance towards warmer or cooler. Changing the white balance of the photo is all well and good if that is what is you want to do but somewhat frustrating if you want to change the focal point and don't realize you missed an instruction. And let's not discuss how frustrating it is to have the camera beep at you. Yes, PLEASE do not discuss the beeping. So in review, the lesson that I've been working on is trying to figure out the aperture. I can set the aperture to a predetermined point using the Fn2 (Function 2) button and toggle back and forth between an automatic aperture and Fn2 aperture. Here's where things get tricky if I want to toggle: to turn the background defocus mode on, I press the Fn2 button once. I half press the shutter button to verify. To turn the defocus mode off I press the Fn2 button twice. I do not need to half press the shutter button to verify. When the camera is in background defocus mode I can change the focal point by pressing on the grid icon on the Menu wheel. That will allow me to move the point. Pressing on the grid icon when the camera is not in background defocus mode will not allow me change the focal point. And it will beep if I try to move the focal point. 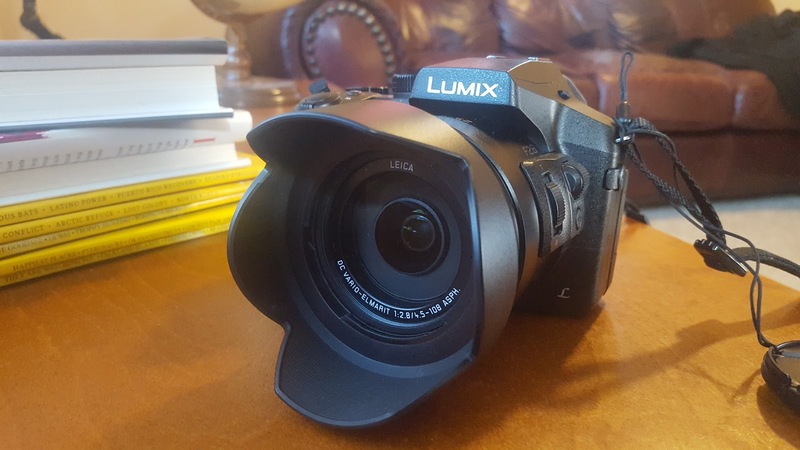 As stated below I have added a new camera to my collection, a Panasonic Lumix FZ300. This camera is in the bridge class of cameras. The way I understand it there is a camera hierarchy with phones and point and shoots at the bottom and digital single lens reflex cameras (DSLRs) at the top and bridges in between. The hierarchy is based on clarity and quality of image and seems to be directly correlated to price and indirectly correlated to ease of use. This camera which I shall call Lu can function as a point and shoot but also has many buttons and dials if you want to take your photography up a notch. Since the whole point of my buying Lu was to do exactly that I have decided to embark on a self designed, self taught course, consisting of what I hope are credible internet resources and my own practice. Over the next few weeks or months many of my posts will be about learning about Lu. There will be posts of photos with information about f stops and shutter speeds and depth of field and this setting versus that because the best way to learn about something is to not only practice but to process it. Knowing is good, being able to explain is better. Blogging your experience is a great way to process and explain. My goal is to create a journal of a very new photographer, a short series of what someone who has only done phone photography before has to grapple with in learning how to use a bridge camera. Pointers and ideas are welcome. Last year I set a goal of reading four science books. And I have! Astrophysics for People in a Hurry. They were all good. And they were all by men. My next reading challenge for 2019 is four science books by or about women, preferably both. 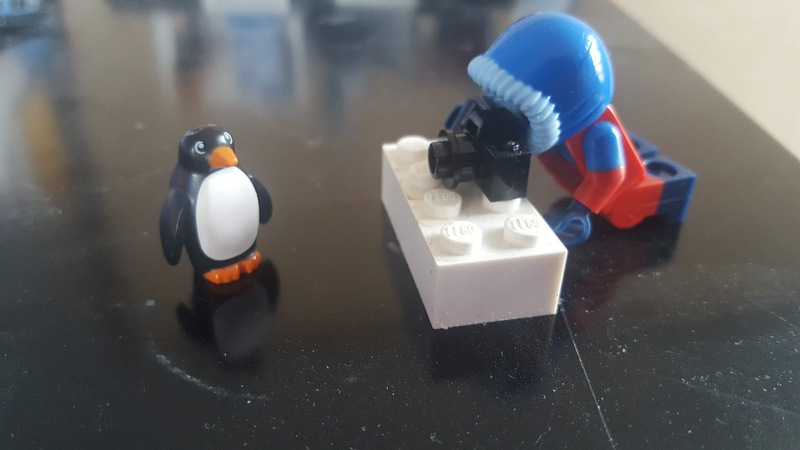 I was a speaker at the STEM Savvy cafe about my polar experience and this Lego mini-fig was my honorarium. I love it. This gift is timely because I recently made the decision to upgrade my camera to more than my phone. I have always maintained that you can be an explorer with the tools you have and for many if not most of us that includes a phone. You don't have to have the $3,000 camera with $2,000 lens. But I've come to the point in my journey as an everyday explorer and explorer educator where I want to do more exploring than my phone will allow. 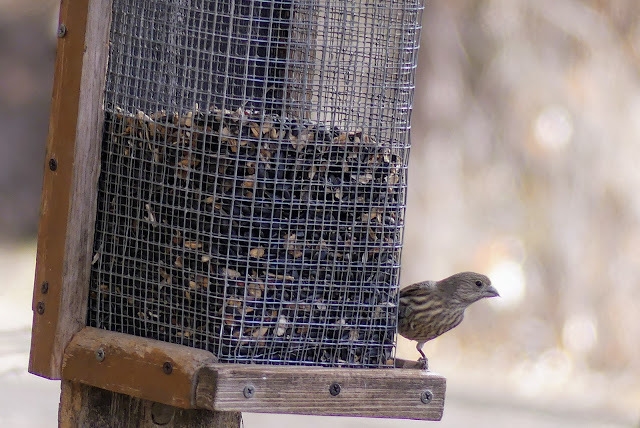 My phone doesn't take good pictures of birds for example and I'd like to add more bird photos to my iNaturalist account. I anticipate that I will continue to use my phone for the every day exploration and the upgraded camera for the more intentional exploration. Knowing myself, and I don't think I'm alone here, I have to guard against new puppy syndrome where once the newness wears off I stop playing with it and ignore it. No! If I invest in this camera I need to set a goal of going out once a month with it to explore. Maybe I will get great photos, maybe I won't. I hope I get more observations to add to iNaturalist that I would not have been able to get before the new camera. But what I will get for sure is 12 times this coming year where I set aside some time to go explore my world. I had the good fortune to attend the National Council of Social Studies conference in Chicago courtesy of National Geographic. I helped staff the booth in the exhibit hall talking about the Educator Certification program and I gave a lightning talk at an Educator Happy Hour. One of the keynote speakers at NCSS was Khizr Khan. You can tell he is of a different generation because he does not have a social media presence as far as I can tell. 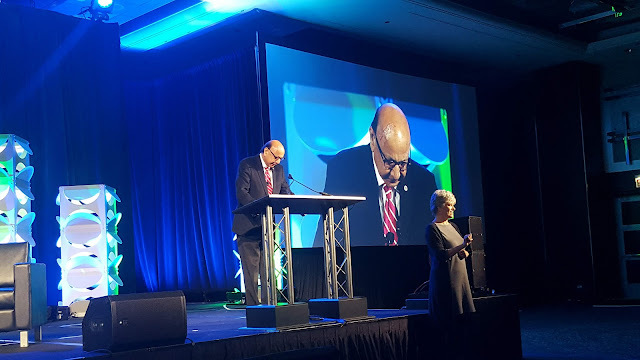 Mr Khan (I cannot imagine referring to him as Khizr even here in my blog) is a lawyer, Muslim and Gold Star father who came to national prominence giving a pointed speech at the 2016 Democratic National Convention about the dark dark tone taken on by the then Republican candidate about immigrants. We educators gave Mr Khan a standing ovation even before he spoke. The applause was long and fervent. After he spoke, the ovation was longer and louder. More than one of us was crying, moved by his words and his call to be candle bearers of freedom, education, and equality. My exploration is focused on, using the Nat Geo Learning Framework, the Changing Planet as well as Wildlife and Wild Places. But the Human Journey is important to me, too. Mr Khan has a compelling, critical message for the current Human Journey. I was thrilled to hear it in person. This is one of my top moments of 2018.